You are cleaning up after a dinner party and then notice that someone has spilled red wine on your sparkling white shag rug. Uh oh! Don’t panic. Take a few deep breaths, calmly repeat to yourself that accidents do happen, unfortunately this happened to you but it’s not the end of the world. Save your sanity and take a look below at our handy list of different methods to remove stains of all kinds. At Beckwith Galleries, we want to ensure that you have as much information and knowledge about our products as possible. There are many terms and descriptions used within the trade that you may not be aware of. In order to make an informed decision, it is wise that you know what to expect and what to look for. We want your experience with us to be a smooth and pleasant one, so please take a look below at our glossary of rug and carpet terms. Abrash A change in the colour of a rug due to differences in the wool or dye batch. The colour change runs across the rug and is most likely to occur at the top. Boteh A pear-shaped figure often used in oriental rug designs, characteristic of the paisley pattern. The boteh may represent a leaf, bush or a pinecone. Chain Stitch A crochet stitch used in rug construction that consists of successive loops to lock the final weft in place at the end of a rug. Dhurrie A flatwoven rug from India, usually made of cotton or wool. Endless Knot A buddhist emblem symbolizing long duration, often used with other symbols. Field The part of a rug’s design surrounded by the border. The filed may be blank or contain medallions or an over-all pattern. Fringe Warps extending from the ends of a rug which are treated in several ways to prevent the wefts and knots from unravelling. Gul A medallion either octagonal or angular in shape, used in Turkoman designs. It is often repeated to form an all-over pattern in the field. Jufti Knot A knot tied over four wraps instead of the usual two. Kilim A tapestry-like woven rug. Medallion The large enclosed portion of a design, usually in the center. Typical shapes are diamonds, octagons and hexagons. Mori The weaving technique of certain Pakistani and Indian rugs. Perisan Knot Looped around one thread with only a half-turn around the other thread. Pile The nap of the rug or the tufts remaining after the knotted yarns are clipped. Plain Weave The simplest interlacing of warp and weft. Prayer Rug A rug with a representation of mosque or arched prayer area. Columns may be shown supporting the arch with a lamp hanging from the arch’s apex. Soumak A flatwoven rug made from a technique that produces a herringbone effect. Tapestry Weave Any variety of weaves where the pattern is created by gound wefts that do not run from end to end. Turkish Knot Tied around two adjacent warp threads. Warp Comprising the structure, parallel warp yarns run the length of the rug and are interlaced with wefts. Weft The yarns woven horizontally through the warps. Weft-Faced A rug where the weft yarns are more closely spaced than the warps. Whip Stitch A stitch used to overcase and to lock the final weft in the rug ends. Flying moths do not eat at rugs but just one female moth can lay hundreds of eggs – these eggs hatch into larvae and these pests consume the wool and silk fibers of your rug. Moths and their larvae thrive in darkened and undisturbed areas where a rug gets very little traffic and is not often cleaned. An infestation often involves more than one rug and can spread from woolen fabrics and furs in closets or drawers. A bad infestation sometimes leaves a cobweb-like covering in the damaged area, along with fine, granular remains – this damage isn’t difficult to repair but reweaving a large area of the rug can be quite costly. Interestingly enough, Generally moth larvae will prefer the taste of one yarn color over another, therefore the bare spots may involve specific colors being eaten away. This damage is due to the larvae having chewed through yarn overcastings or bindings. Long, lightly fuzzy cylinders that are often the same color as the rug’s pile due to larvae’s habit of camouflaging their cocoons to blend in with the colors of the wool that surrounds them. White, slender, worm-like larvae can often be seen just after hatching, before they’ve built their cocoons, and they are responsible for eating at the wool. These particles can be found down in the pile of the rug and has a tan or brown color. They have a granular look, are regular in size, and is the excretion of the larvae. White, silky strands covering patches of the rug’s pile, indicating a bad infestation. Hand-knotted rugs are the only authentic Oriental rug – contemporary design or traditional. Several other rugs are labeled and marketed as “hand-made” or “hand-tufted”, including hooked and needlepoint rugs, but according to industry standards, for a rug or carpet to be labeled as “hand-knotted”, it must actually be knotted by hand. “Tufted” rugs can be made by hand or by machine. The pile yarns are punched into a fabric, the most common being cotton, and the face pile is clipped and a cotton material covers the back of the tufted rug. “Wall-to-Wall” carpeting is not as durable when hand-knotted – knotting does not occur because of its backing being glued to the foundation. Roots, vegetables, fruits and many other natural substances are used in natural dyes – they have been used in Oriental rugs for thousands of years, though synthetic dyes had taken over the market in World War Two. The popularity of natural dyes resurfaced in the 1980’s and were used in more traditional and/or antique reproductions of rugs. These days, natural and synthetic dyes are both used in Oriental rugs and as a general rule of thumb, vegetable dyes are used in rustic designs or “village” pieces (used to add character to the rugs) and synthetic dyes are used in more sophisticated “City” pieces (where the color needs to stay consistent. Place your rugs and carpets to one side of the room and avoid putting them in front of high traffic areas, such as doorways. Carpet protectors, made from heavy woven canvas or plastic strips. Keep in mind that this method can be a tripping hazard. Do not walk on your carpets wearing heels, specifically stilettos, as they can pierce holes in the carpet, causing extreme damage. Reposition your furniture often and use castor cups beneath your heavy furniture to avoid permanent indentations from the fiber being crushed. Avoid keeping your carpet in direct sunlight. Sun damage causes fading, premature aging, and can cause the carpet to become lighter in certain areas (particularly when your rug is dyed with natural substances). If you cannot avoid this, rotate your rug at least twice a month. This will not stop the fading process but will instead create more even, unvarying colors as it fades. When neglected, a dirty rug will show signs of untimely wear from dirt on the surface of the rug settling down into the pile and accumulating. To prevent lifting damage and the spreading of dirt, vacuum in the direction of the pile. Take special care when vacuuming the edges, particularly the fringe (though we recommend you do not vacuum the fringe area), and do not use the brush or beater bar attachment. These attachments can tear away loose fibers and/or worsen previously damaged/threadbare areas. To straighten tangled fringe, flip the rug by taking hand of one end of the carpet and walking it over to the other, leaving the rug upside down and the fringe straightened. Do not brush or comb the fringe if some remain twisted; rather, gently shake the rug. 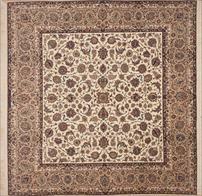 Antique carpets are more often than not made from wool or silk and are susceptible to insects. At least twice a year, check under your carpets and rugs and inspect thoroughly for holes, webbing, and insect droppings. If any of these problems are found, carefully vacuum both sides of the carpet, using the upholstery attachment with the nozzle covered with a piece of nylon stocking; repeat once or twice a week for at least six weeks and for safety’s sake, inspect other areas of the house. If your carpet has been torn, has holes, or loose fringes, Beckwith Galleries provides quality services to help your carpet look new again! Please read our previous article Cleaning & Care of Your Oriental Rug. Made exclusively in the town of Abadeh in Iran, Abadeh or Abaadeh carpets are a type of Persian carpet. The creation process of these rugs have changed over time; women began using larger and superior looms, which lead to increasing the size and quality of the rugs. 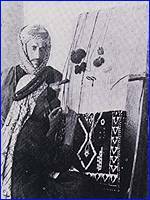 The knot density / knot count was upgraded significantly, the sides of the carpets became straighter, and cotton, which makes for a better rug, was introduced. Arak rugs are made exclusively in the province of Arak, Iran; fundamentally, all rugs from Arak are thought of as Arak rugs, though a few differences in quality can be found between the general term of “Arak” and Sarouk, which is also produced in Arak. Though their designs are very similar, Arak rugs are much more coarsely knotted and generally display bold, floral medallions set against open fields. The Bakhtiari tribe, based in Chahar Mahaal and Bakhtiari, have been weaving rugs exported around the globe since the early 19th century. Most authentic Bakhtiari rugs are woven in Bakhtiari settled communities in west central Iran southwest of Isfahan, Chahar Mahaal and Bakhtiari and parts of the provinces of Isfahan, Lorestan, and eastern Khuzestan, though they were originally woven by nomadic Bakhtiari. 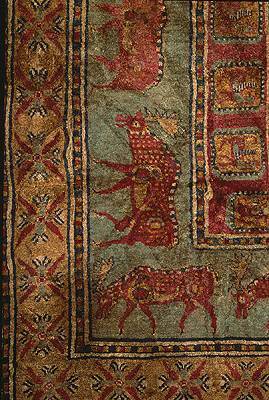 Bakhtiari carpets are based on a cotton foundation (warp) with a wool weft and are taken from the herds belonging to the particular tribe; this leads to unique carpets that differ depending on the characteristics of each tribe’s wool – raging from dull to extremely glossy, clipped medium to high. 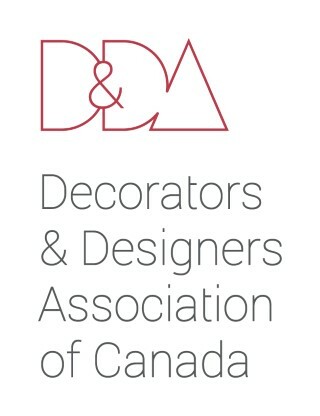 The same can be said about the colors used; generally they feature shades of white, reds, browns, greens, and yellows, though blue does not appear in the designs. Bakhtiari carpets are widely considered to be among the most durable Persian carpets and the larger rugs tend to be very rare and harder to come by. Traditional Bidjars/ Bidjars with rose motifs. 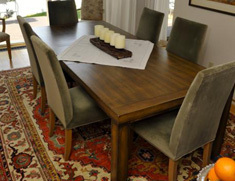 The differences between antique Bidjar rugs and newer Bidjar rugs are quite significant. While newer rugs are of a finer material, antique rugs are quite coarse; the warp and weft are incredibly durable and carpets of a heavier weft are both thick and straight. Antique rugs are made with wool, more often than not, but cotton is also used at times. 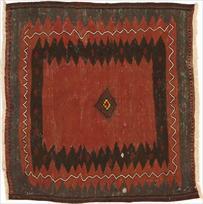 The term Gabbeh refers to long pile tribal and village rugs and means “unclipped”. They got commercially popular in the 1980s; the oldest of the commercial array were simple, geometric shapes in un-dyed wool. They generally lend themselves well to today’s minimalistic modern interiors – the soft gradation of colors that is often found in many pieces is once more sought after among interior designer. More often than not, the design is less commercials and the pile is longer. Weavers would often weave long pile coarser rugs for their own use and fine tribal rugs to sell. The Iranian city of Isfahan, also spelled Esfahan, produces what many consider to be the most consistenly fine wool pile rugs in the world currently. Though their quality rugs can be matched by other rugs produced by other Persian areas, Isfahan rugs are rarely considered to be of poor quality. Rug Weaving in Isfahan blossomed in the Safavid era but the practice lay dormant once the Afghans invaded Iran, sufficiently ending the Isfahan dynasty. Isfahani rugs and carpets generally have ivory backgrounds with blue, rose, and indigo motifs, as well as a single medallion that is surrounded with vines and palmettos. Additionally, they often have very symmetrical and balanced designs and routinely are of premium quality. Certain Isfahani rugs became known in Western Europe as ‘Polish rugs‘, referring to carpets specifically made in Persia, woven with gold, silver and silk threads during the 16th to 18th centuries; they were then exported to the Polish-Lithuanian Commonwealth where the rugs were decorated with their distincitive coat of arms. Kilim rugs are flat-woven Oriental rugs without pile, similar to Navajo rugs. Collectors often hold Kilims in a higher regard because they retain the oldest, most traditional designs and colors. More information about rugs and carpets to come! For over 2, 500 years, oriental rugs have been used in the East by nomads and villagers for warmth and beauty. More recently in the West, they have graced homes with their art and luxury, and go with any decor. An Oriental rug is a purchase for a lifetime and when properly maintained will last for generations. The information below offers simple, basic advice for the protection and care of your investment. Oriental rugs are generally made of wool and are easily and economically maintained. Rugs of wool are extremely durable and consistently out-perform other materials. Unlike other fibers, wool is much more resilient, cleans better, and stays clean longer. Your trusted professional Oriental rug cleaners will insure a skilled cleaning that brings out the richness of color and softness of the wool. Depending on the amount of traffic, a professional washing is recommended every one to three years for the cleaning of your oriental rug. Note: Never dry clean or steam clean your rug or carpet! Dry cleaning is a chemical process that is detrimental to the lifespan of your handknotted wool and silk rug. Steam cleaning leaves chemicals in the fiber, which is harmful to the longevity of the fine wool rug. Steam cleaning renders the wool material rough by removing its natural oils. The damage cannot be reversed! Quality carpets and rugs purchased from Beckwith Galleries, when properly serviced and attended to, can last several years. Unfortunately, though, with regular use, wear and tear can occur. As mentioned above, routine vacuum cleaning and foot traffic can deteriorate the fringes of your carpet or rug, whether partly or completely. Beckwith Galleries has significant expertise in carpet restoration; our skillful specialists will first clean your carpet, examine the scope of the damage, remove the damaged fringing, and replace it with newly hand knotted thread. Please contact Beckwith Galleries and we can arrange to have your beloved carpet or rug looking as good as new! When spills occur, dilute with plenty of water. Next, blot from the edge of the spill towards the center. Avoid rubbing the area. For solid spills, take a spoon and carefully scoop-up the material. It is always best to attack the spill immediately. To help you eliminate most stains, please view our online Spot Removal Guide. For further advice, visit our contact page or email us directly. We will be glad to help. To look at a Persian carpet is to gaze into a world of artistic magnificence nurtured for more then 2,500 years. 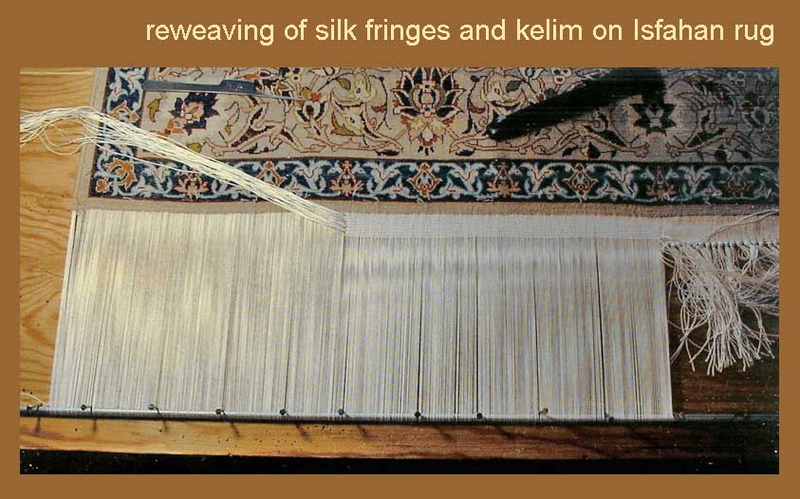 The Iranians were among the first carpet weaver of the ancient civilizations. An Iranian’s home is bare and soulless without it, a reflection on the deep rooted bond between the people and their national art. To trace the history of the Persian carpet is to follow a path of cultural growth of one of the greatest civilizations the world has ever known. From being simply articles of need, as pure and simple floor entrance covering to protect the nomadic tribesmen from the cold and damp, the increasing beauty of the carpets found them new owners – kings and nobleman, those who looked for signs of wealth or adornment for fine buildings. In palaces, famous building, rich homes and museums throughout the world a Persian carpet is amongst the most treasured possessions. Today, Iran produces more carpets than all the other carpet making centres of the world put together. To make a carpet in those days required tremendous perseverance. Although cotton came to be used for the warp and weft of the carpet, the herds of sheep that surrounded the tribes provided the basic material, wool. The cold mountain climate provided an added advantage in that the wool was finer and had longer fibres than wool from sheep in warmer climates. A key feature in making the carpets was the bright colours used to form the intricate designs. The manufacture of dyes involved well kept secrets handed down through the generations. Before the dyeing process could begin, the wool had to be washed and dried in the sun to bleach it. The wool was loosely dipped into dyeing vats and left for a time that could be judged only by the expert craftsman.. The earliest known Persian carpet was discovered by Russian Professor Rudenko in 1949 during excavations of burial mounds in the Altai Mountains in Siberia. It dates from the fifth century B.C. and is now kept in the Hermitage Museum of Leningrad.. The Iran Carpet Company and a school of design were established in Tehran to restore the integrity of Art and to study and build the great works of the 15th and 16th centuries. Here is the full version of this interesting article.